Have you found your Pomeranian eating poop? 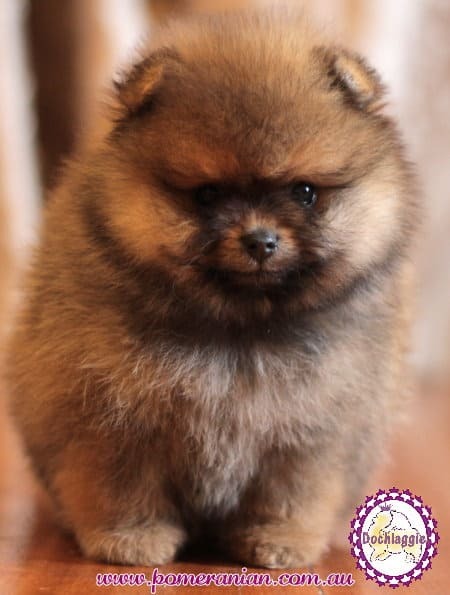 Pomeranians are very cute and adorable in every way. So it can be upsetting when we see that our Pomeranian puppy is eating his own poop. 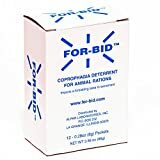 This is frustrating for owners and it may cause your Pomeranian to pick up bacteria and parasites that can cause diarrhoea and other health problems. This behaviour is often embarrassing for people who own Pomeranians and it’s also extremely bad for a dog’s health. Let’s look at all this in greater detail so you’ll know what to do if this happens to your dog. 1 Why Do Pomeranians Eat Their Own Poop? 1.0.1 What exactly are fillers? 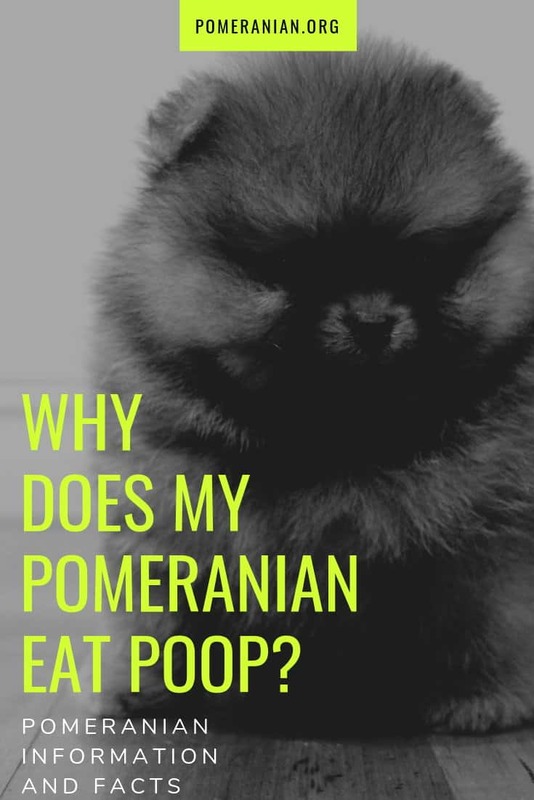 Why Do Pomeranians Eat Their Own Poop? Pomeranian puppies that eat their poop do it for many reasons. Owners need to find out the why their puppy eats poop and make an action plan to stop puppy eating own poop. Your pet might be eating low quality commercial food containing lots of indigestible “fillers.” This causes lots of poop and it smells exactly the same as the dog food your pet has consumed. You’ll know whether commercial food is good or bad by the consistency and amount of poop your dog produces. I would recommend changing to a healthier diet. One of the most common reasons why a dog may eat his poop or that from other dogs is because his food is missing essential nutrients. If your dog’s body craves something specific, his canine instincts will make him eat it, wherever he can find it, including in poop. Your first course of action is to analyse what you’re feeding your dog for his meals and snacks. Some of the manufactured foods are ok to eat but many contain these bad fillers. Fillers are ingredients that manufacturers add to dog food to make it more bulky. This is done to give the appearance of more food than there really is. It “fluffs” the food up so it looks like a lot of food when the fillers have no nutrients or calories at all. If your Pom eats these foods regularly, he may still feel hungry and he’ll eventually be deficient in various vitamins and minerals. If you need to use manufactured food, it’s a wise move to also feed your beloved dog the best vitamin and mineral supplement you can buy to help balance out his diet and keep him healthy. Your other choice is to make food for your dog at home. This is the only guaranteed way you’ll know that your pet is getting healthy, wholesome, fresh food for his meals and snacks. Another benefit is that Pomeranians love homemade food. Owners often find that making the food themselves solves any problems with the dog being a picky eater and will stop him eating poop while he’s outside. One of the most common reasons why a dog may eat his poop or that from other dogs is because his food is missing essential nutrients. If your dog’s body craves something specific, his canine instincts will make him eat it, wherever he can find it, including in poop. Your first course of action is to analyse what you’re feeding your dog for his meals and snacks. Some of the manufactured foods are ok to eat but many contain these bad fillers. What exactly are fillers? Fillers are ingredients that manufacturers add to dog food to make it more bulky. This is done to give the appearance of more food than there really is. It “fluffs” the food up so it looks like a lot of food when the fillers have no nutrients or calories at all. If your Pom eats these foods regularly, he may still feel hungry and he’ll eventually be deficient in various vitamins and minerals. If you need to use manufactured food, it’s a wise move to also feed your beloved dog the best vitamin and mineral supplement you can buy to help balance out his diet and keep him healthy. Your other choice is to make food for your dog at home. This is the only guaranteed way you’ll know that your pet is getting healthy, wholesome, fresh food for his meals and snacks. Another benefit is that Pomeranians love homemade food. Owners often find that making the food themselves solves any problems with the dog being a picky eater and will stop him eating poop while he’s outside. The answer is that it may simply be curiosity and that can become a habit. Some owners claim their dog eats virtually anything. Some dogs will sniff and taste most things so they can work out what it is, if it’s edible and whether they do or don’t like its taste. It’s difficult to consider a dog that enjoys the taste of faeces. However, it can depend on what foods are digested and then expelled. If your dog is eating poop, there has to be something in it that he likes or he wouldn’t do it. 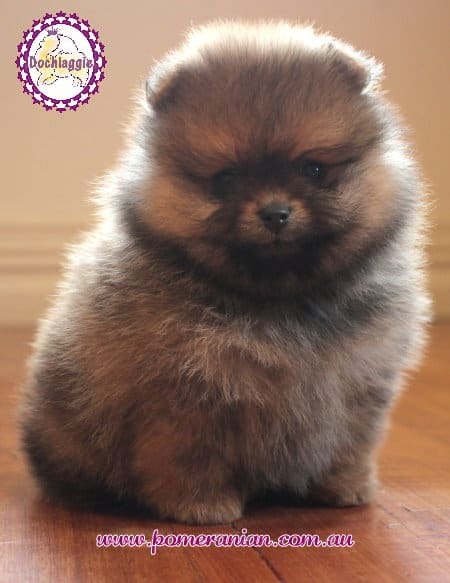 If a Pom eats poop once and isn’t taught that he shouldn’t do so, he may keep looking for poop and eating it. You have to remember that if a wrong behaviour isn’t corrected, your dog will simply assume it’s ok and he’s allowed to do it. When you house train your Pom, just pick one specific area. Then your dog can choose his exact spot. That spot must not be used for anything except for the bathroom area. It should never be used as an exercise or play area. Ensure your pet’s environment is kept clean. After your Pomeranian has done his business, scoop it up and lead him away from that area. Watch him closely when you take him to parks and other places where other dogs play and walk. Eating faeces produced by other dogs may cause an infestation of worms. The moment you notice your Pom walking towards any faeces, clap your hands loudly to get his attention. Then change his focus to something else and, when he complies, reward that good behaviour. If your yard has an open area where your Pomeranian can run around in, you must go outside first and collect any poop. Use a hose to spray water on any piles you find is the fastest way because the water makes it dissolve into the ground. 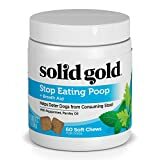 What to put in dog food to stop eating poop? If you add meat tenderizer in dog food, this can deter him from eating his faeces. People have suggested adding pineapple, pumpkin or a stool deterrent supplement as other options. 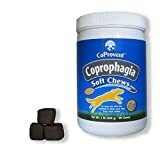 Your vet can also give you medicine to make the poop taste very bitter. 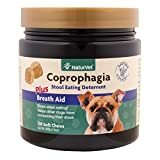 It’s important to only use a single additive to avoid overbalancing your pet’s digestive system. Talk to your vet before trying anything because too much may cause other issues and some dogs could also be allergic to certain additives. Make sure your dog has plenty of exercise and play time. If a dog is bored, he may damage property and develop unwanted behavioural patterns. 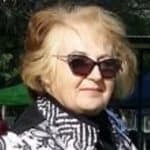 Healthy Home Cooking for all Pomeranians is ONLY available here on #1 The Pomeranian Information Site as an eBook in PDF format. Download and store on your computer, tablet, phone and print a hardcopy if required. 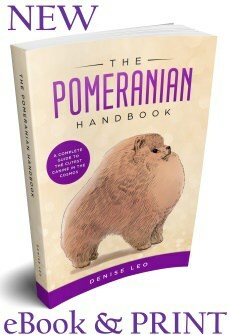 Healthy Home Cooking for all Poms is a MUST have item for ALL Pomeranian Parents.